Hello everyone and welcome to the IMBA Blog. 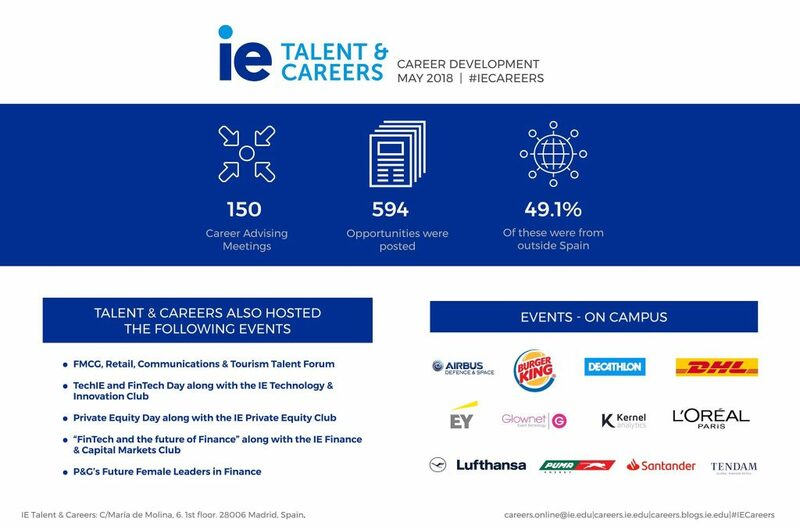 The purpose of this blog is to keep you informed about what is happening around IE with the International MBA program, the experience of living in Madrid, our upcoming events and latest news on campus, and much more. You will also gain insights from current students and alumni who share their learning from their day to day experiences. 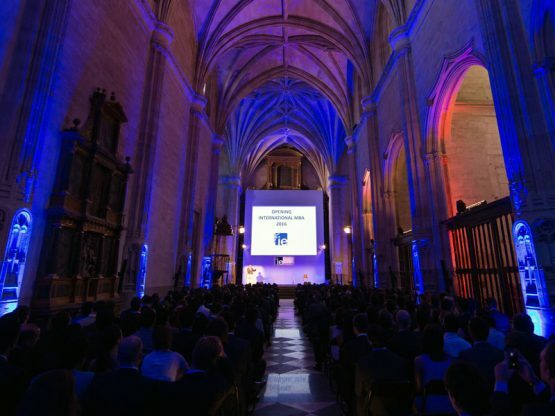 IMBA SEPT 2018 – JAN 19 Intakes – Key Dates TBC. Some of our Talent & Careers department numbers now published of their activity this past summer. 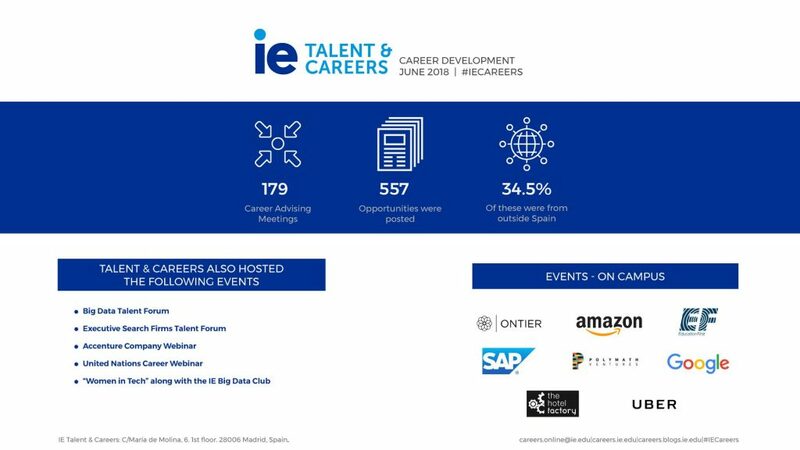 Talent & Careers is a key stakeholder at IE that is in charge of being the necessary link between the schools and the corporate environment.